2019 - Weekly update New! 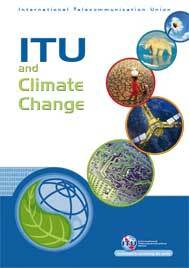 ITU is pleased to present the English edition of its Publications Catalogue in PDF format. The online edition is updated weekly to give an overview of all available ITU publications. 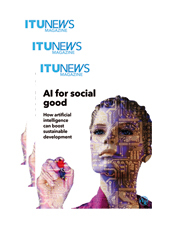 A joint-effort between ITU and 32 UN agencies and bodies, all partners of 2018's AI for Good Global Summit, this report provides information about the diverse and innovative activities related to artificial intelligence (AI) across the UN system. 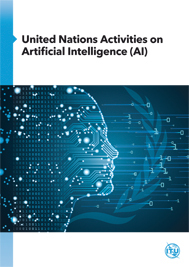 It outlines how AI is being used to fight hunger, mitigate climate change, or advance health for all and we see how UN agencies experiment with AI to improve response to disease outbreaks, monitor energy use in real-time, and facilitate the transition to smart sustainable cities. 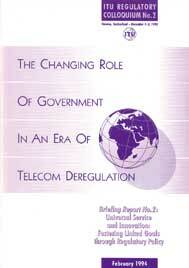 This report gives an overview of ITU's role in building the information society. As the UN agency in charge of telecommunications and other information and communication technologies, ITU played the lead role in the organization of the World Summit on the Information Society (WSIS). The decision of the 1998 ITU Plenipotentiary Conference that led to the holding of a Summit on the Information Society was endorsed by the UN General Assembly. It called for the participation of Member States at the highest level and for UN specialized agencies' strong involvement in the preparatory process, as well as in the Summit itself.ITU coordinated the preparation of the WSIS stocktaking database, which provides a global platform for the presentation, exchange and dissemination of information on activities promoting the development of the Information Society at the local, national, regional and global levels. By the second phase of the Summit, more than 2600 entries were in the database. 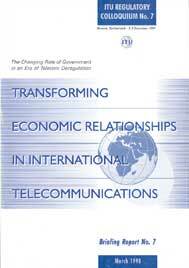 ITU also launched the "Golden Book" project in October 2005. The Golden Book focused on new projects conceived or undertaken during the Tunis Phase of WSIS, as well as on new financial commitments for activities related to WSIS implementation. At the end of January 2006, the Golden Book had registered more than 350 entries. Connect the World is an innovative multi-stakeholder platform that leverages the benefits of ICTs and the power of partnership to bridge the digital divide. Designed to showcase, consolidate and scale-up existing activities and stimulate industry-wide cooperation, its aim is to accelerate ICT development efforts worldwide. 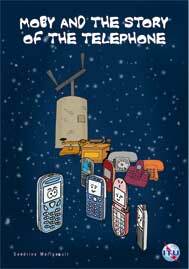 This book tells the story of the telephone and its technology, from ancient times to the present day. It explains the basic physical principles in simple terms, and is intended for anyone of high-school age or older curious to understand how this everyday object works.... A mobile phone belonging to one of the sales staff gets locked up in the shop, giving it the perfect opportunity to tell the latest batch of phones their own STORY - the history of the telephone! 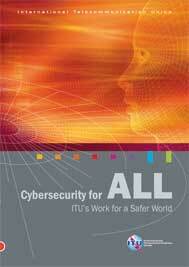 This publication explains ITU's role in cybersecurity. ITU's Standardization Sector (ITU-T) holds a unique position in the field of standardization: its work brings together the private sector and governments to coordinate work and promote the harmonization of security policy and security standards on an international scale. Standardization can help guarantee established levels of performance and security in technologies, systems and products and help provide businesses with a systematic approach to information security. Manufacturers and service providers can be sure that their concerns have been reviewed in consultation with leading experts in the field in reaching the standard approach or processes needed to achieve minimum levels of performance. As well as many key security Recommendations, ITU has developed overview security requirements, security guidelines for protocol authors, guidance on how to identify cyberthreats and countermeasures to mitigate risks. ITU's work on security covers a broad range of activities in security from network attacks, theft or denial of service, theft of identity, eavesdropping, tele-biometrics for authentication, security for emergency telecommunications and telecommunication network security requirements. 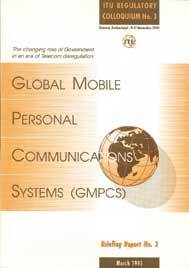 The purpose of this book is to bring home the benefits to be reaped from telecommunications, particularly to those who do not normally receive information on telecommunications and their many applications. Produced by the Regency Corporation Limited in collaboration with ITU, the views expressed in this book are those of the authors and not necessarily those of ITU. 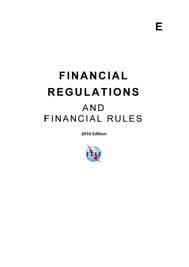 The Report's purpose is to illuminate the alternatives that exist for national telecommunications regulation and to analyse the advantages and disadvantages of these various options. The Regulatory Colloquium itself, and the preparation of the Briefing Report, were funded by the New ITU Association of Japan. The principal authors are Michael Tyler and Susan Bednarczyk. The views expressed are those of the authors alone. 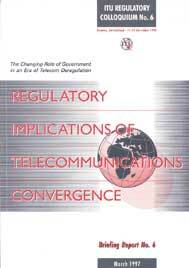 This publication reviews the different methods by which government and specifically telecommunications regulators seek to pursue two inter-related goals of communication policy: universal service and rapid innovation. 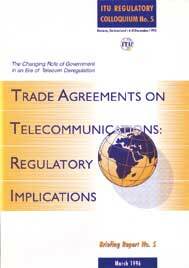 The Report seeks to illuminate the alternatives that exist for national telecommunications regulation and to analyse the advantages and disadvantages of these various options. The Regulatory Colloquium itself, and the preparation of the Briefing Report, were funded by the Friedrich Ebert Foundation of Germany. The principal author is Michael Tyler. The views expressed are those of the author alone. This Report examines some of the major decisions facing governments, regulators and the private sector regarding the introduction of this ambitious and potentially revolutionary new service. The Regulatory Colloquium itself, and the preparation of the Briefing Report, were funded by the Friedrich Ebert Foundation of Germany. The principal author is Michael Tyler. The views expressed are those of the author alone. 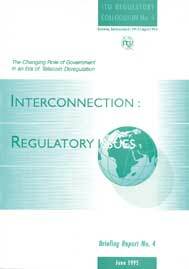 The Report's purpose is to examine some of the regulatory issues posed by Interconnection. This critical subject is examined not from a technical viewpoint but recognizing that effective interconnection is vital to competition. 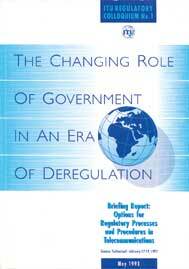 The Regulatory Colloquium itself, and the preparation of the Briefing Report, were funded by the World Bank. The principal author is Michael Tyler. The views expressed are those of the author alone. 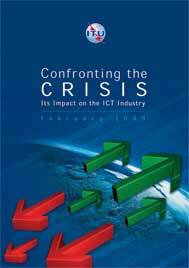 "This report focuses on the financial crisis and its impact on the ICT industry and covers areas such as telecoms, the internet, ISPs and media/content delivery platforms. 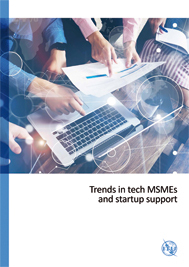 While the economic turmoil may challenge some, it can also overturn the established order and stimulate the emergence of new entrants with new technologies in the innovative ICT industry. " 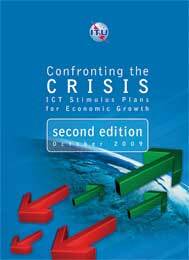 This Report examines the scope for public financing and the role that the ICT sector and economic stimulus plans can play in regenerating economic growth and promoting economic recovery. More than fifty countries have launched economic stimulus plans in an effort to boost aggregate demand (Insight 4) - the OECD records as many as 25 OECD countries as having announced stimulus plans, while major emerging and transition countries including Brazil, Chile, China and the Russian Federation have also launched similar initiatives to stimulate their economies. Investments in ICT can play a strong role in generating long-term economic growth, as they offer strong multiplier effects in returns on investment, strong externalities and reduced economic leakages (Section 3.1). 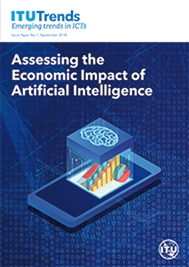 These strong externalities to ICT infrastructure suggest that the social returns on investment in ICTs are likely to exceed the private returns significantly, implying that private sector activity alone is unlikely to generate socially optimal levels of investment. This new work by Professors Valeriy Zolotarev, Gennadiy Ovechkin and Yuriy Zubarev sets out the basic principles of modern error-correcting optimization coding theory, before moving on to consider multithreshold decoding (MTD) algorithms. With each symbol correction iteration, these iterative algorithms always find decisions of strictly increasing likelihood and can achieve optimum results that would normally require exhaustive search of all possible code words. It reviews the capabilities of symbolic codes discovered by the authors and the corresponding, simple-to-implement special symbolic MTD decoders, which are easier and more efficient than all other known methods of decoding non-binary codes. Concatenated parallel-type arrangements and other configurations that enhance the efficiency of MTD are proposed. The efficiency limits of real codes with a code rate close to channel capacity are valuated. The effectiveness and complexity of error-correction procedures in software and hardware implementation are assessed. This work will be of interest to experts in the field of coding theory, communication system developers and undergraduate and postgraduate students in relevant disciplines. Micro, Small and Medium Enterprises (MSMEs) are a major engine of economic growth and job creation. 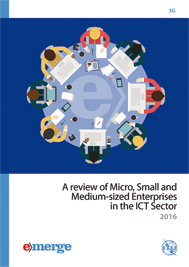 MSMEs make up more than 95% of all businesses worldwide and two thirds of all formal jobs. Evidence also suggests that these MSMEs account for 60-70% of gross domestic product (GDP) globally. Most importantly, MSMEs often represent a potential path out of poverty for many developing countries. This report identifies current trends in this domain and learn from the efforts that are already taking place throughout ITU's large and diverse Membership. On 17 May 1865, after two-and-a-half months of negotiations, the first real International Telegraph Convention was signed in Paris by its 20 founding members, thus creating the International Telegraph Union (predecessor of ITU). This first international convention provided a framework to standardize telegraphy equipment, set uniform operating instructions and laid down common international tariff and accounting rules. 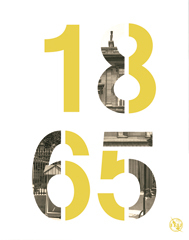 This publication describes the environment that led to the founding of ITU in 1865 and provides a fascinating look at the world of communications technologies 150 years ago and how many of the challenges that led to its creation remain today. "Clear scientific evidence, extreme weather events, and an increased public awareness have elevated climate change to the top of the political agenda - globally, regionally and at national levels. At ITU, combating climate change is also a major priority. 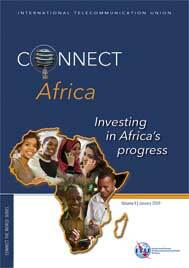 This report focuses on ITU's role in achieving this. " "Child Online Protection aims to tackle cybersecurity holistically, addressing legal, technical, organizational and procedural issues as well as capacity building and international cooperation. 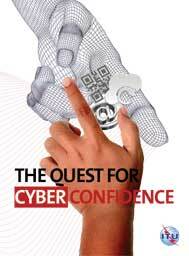 The key objectives of COP are: a) Identify risks and vulnerabilities to children in cyberspace; b) Create awareness; c) Develop practical tools to help minimize risk and d) Share knowledge and experience. The purpose is to ensure that children everywhere can enjoy the benefits of a networked environment, safely and positively." 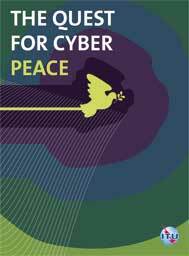 "This publication aims to promote the concept of global cyber peace by examining how ICTs underpin everyday life; evaluating current cyberthreats and trends; analysing the impacts of cybercrime and cyber conflict; assessing the validity of current legal frameworks; defining the concept of cyber peace, and establishing it as an overriding guiding principle for peaceful behaviour in cyberspace; and charting a path forward. " 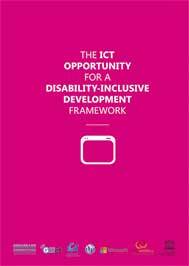 This publication contributes to a better understanding of the extent to which ICTs can enable and accelerate the social and economic inclusion of persons with disabilities. It lists challenges that are still to be addressed while outlining concrete actions to be undertaken by each group of stakeholders and a set of indicators to help measure progress towards the achievement of a disability-inclusive post-2015 development agenda and framework. 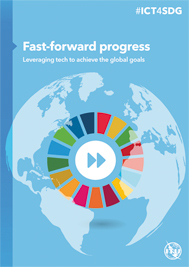 The report is the result of collaborative input from the UN Broadband Commission for Digital Development, the Global Initiative for Inclusive ICTs, the International Disability Alliance, ITU, Microsoft, the Telecentre.org Foundation and UNESCO. For more information, please visit www.itu.int/accessibility. 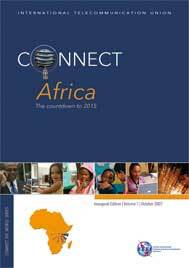 "This is the second volume in the "Connect Africa" series that ITU has produced since the Summit held in Kigali, Rwanda in October 2007, under the patronage of His Excellency President Paul Kagame of Rwanda. 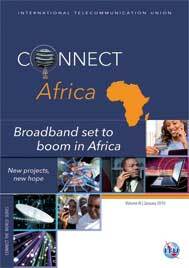 The summit gave an important boost to connect the continent, and a commitment was made to link all African capitals and major cities with broadband infrastructure and improve links with the rest of the world by 2012. For Africa which still has a vast, untapped potential for growth in information and communication technologies (ICT), is open for business. And it is new investment in ICT infrastructure that will lead to new jobs and overall economic growth. This publication highlights the public-private partnership using third-generation (3G) wireless technology to improve health. "